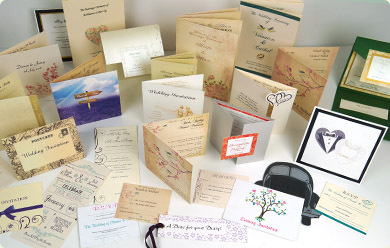 Soon2be.ie are specialists in designing and producing bespoke wedding stationery in Munster. You can choose from a large selection of designs and personalise them for your own special day, or maybe you have a design idea you would love to use for your wedding. Our design team can produce any design to make the perfect wedding stationery for your special day. All of our wedding stationery comes complete with envelopes. If you have any queries or require a quotation please feel free to contact us today. 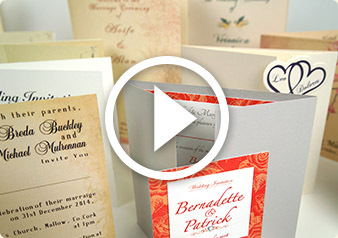 Please see a short video showing our range of our unique Wedding Stationery. All of our wedding stationery come complete with envelopes. If you have any queries or require a quotation please feel free to contact us today.